A total of 4,79,650 students appeared for the SSLC exam of Kerala Board. The exam was conducted at 2777 centres which include 9 centres in Gulf and 9 centres in Lakshadweep. 94.17 percent of the students are eligible for higher studies, which is 0.53 percent more than the previous year. Gulf centres registered a winning percent of 98.2 and Lakshadweep with a percent of 74.81. 861 schools registered 100 percent passing percent. Kottayam District registered maximum passing percent (97.7) while Kozhikode district secured Maximum students with A+ grade. 10,073 got A+ grade in all the subjects among which 1413 students are from Kozhikode. The Minister also informed that 'say' exams of SSLC 2013 will be conducted from May 13 to 18th and the results will be declared by the end of May. The results are available on different servers of Pareeksha Bhavan. The url address of some of the websites are given below. 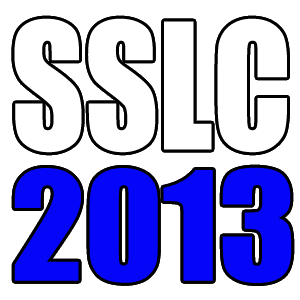 Kerala SSLC results 2013 publishing date will be on 24th April. If you are waiting for Kerala SSLC results do visit the official websites which publish the results on 24th April 2013. In 2012 the results were published on 28th April while the education department is trying their best to complete the tabulation process in record time. Kerala SSLC Results 2013 will be published on 24th April at 11.30 AM. Deputy director of Education Kerala M D Murali has told the press about the date of results declaration. Students who are waiting for Kerala SSLC results can visit the official websites after the results get published on 25th April 2013. In 2013 4, 79,650 students appeared for the exam. For the first time, the results are published much earlier with 50 centres under 3 zones finishing the tabulation process in record time. Kerala 10th class or SSLC Results 2013 will be published on official government websites. The Kerala SSLC Results 2013 will be published on 24th April at 11.30 AM, told Deputy director of Education Kerala M D Murali. The 2013 Kerala SSLC results would decide the fate of 4, 79,650 students who had appeared for the exam. Comparing with the previous years, the results are published much earlier finishing the tabulation process in record time.